Page is unveiling its new name, logo, and purpose statement at the 2018 Page Spring Seminar on Thursday. NEW YORK: The Arthur W. Page Society has rebranded as its simpler nickname among members: Page. The organization for corporate comms executives is unveiling its new name, logo, and purpose statement at the 2018 Page Spring Seminar on Thursday. Text100 CEO Aedhmar Hynes said that after she was elected as Page chair late last year, she began a listening tour to understand what the organization means to members and what they want it to be in the future. "We are living in complex times," she said. "What we found from our members is that the role of communications has never been more important than it is today. Today communications must help to challenge perceptions, embrace differences, and establish trust." Page’s mission, which is to "strengthen the enterprise leadership role of the CCO," remains the same. But Hynes has created a purpose statement for the organization: to unite the world’s best communicators to transform business for the better. "The role of page is to unite communicators and bring them together in a place where they can bounce ideas off each other, learn from each other, gain inspiration, and be empowered," she said of Page’s purpose. "Page is providing a forum and environment in which people can come together and share best practices." Hynes said Page has taken a fresh look at how it can embody its purpose in the organization’s strategy, programs, and how it "expresses itself" to the world. "While you’ll see the early embodiment of this in things like the website and our materials, it will also be reflected in the actions we take and the work we do," she said. "We will look to shape a more global, diverse, and inclusive membership." Hynes added that the organization’s thought leadership will also include timelier, actionable, and relevant elements, which will be reflected in the programs Page offers, such as Page Learning Labs, an interactive learning experience for members and teams. 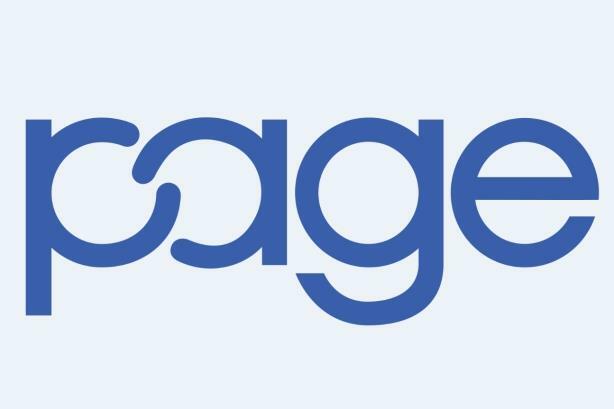 Page’s new logo was designed to honor and reflect the organization’s 35-year history, said Hynes. "[The new logo] will resonate internally to members and externally to the wider world of communications," she said. "It is meant to connote the coming together of the wider communications industry."